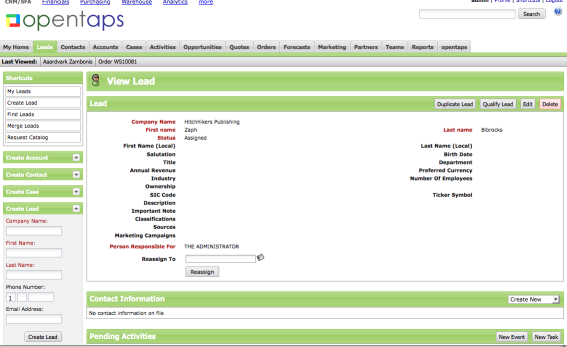 2010 January — Open Source Strategies, Inc.
We have just made the release candidate for opentaps Open Source ERP + CRM Version 1.4 available, and you can download opentaps 1.4RC1 from SourceForge. We will also be making an opentaps Amazon EC2 image for this release candidate available shortly. 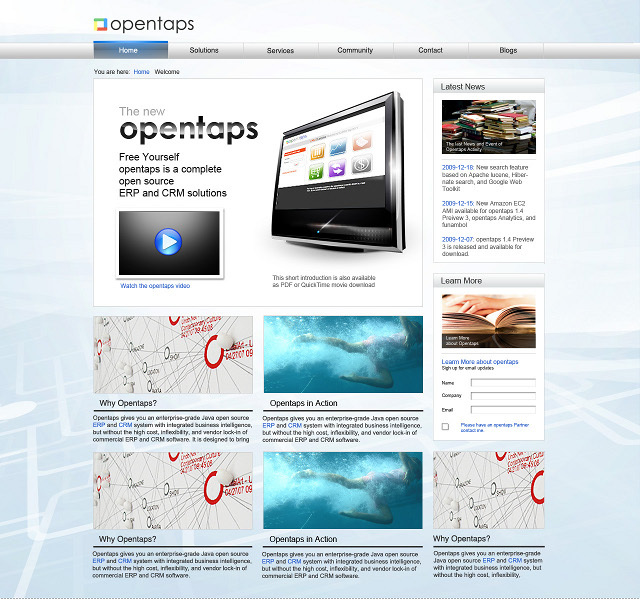 This release candidate is the final step before the official release of opentaps 1.4, which is expected in the next few weeks, and there should be only limited changes to opentaps 1.4 before its release. If you have questions or comments about this release, please join us at the opentaps forum on SourceForge.